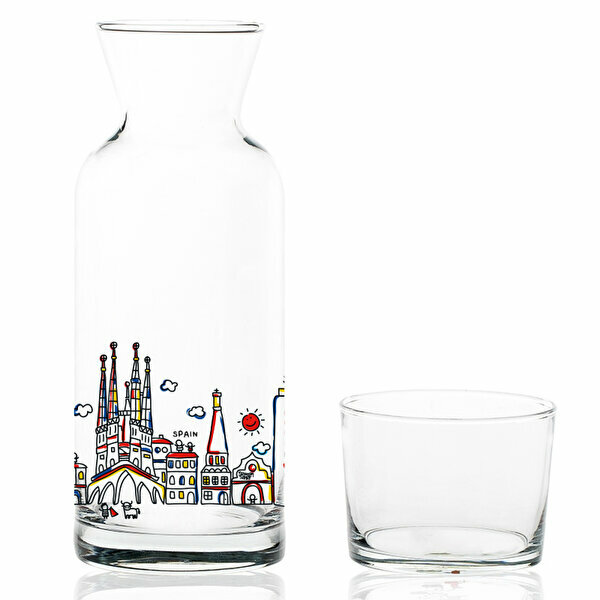 TK Collection Madrid Glass Decanter, Glass jug with a lid that is also used as a glass. Perfect for tabletop, office and bed head. Product Measurements: 21cm X 7cm, jug with glass cover. Designed specifically for TK Collection.